Last December 8, I had the opportunity to attend a workshop organized by the Negros Online Workers (NOW) about Business Development and Digital Marketing. One of the main points discussed was email marketing and how it can help businesses grow. 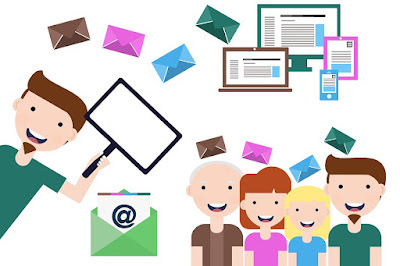 The speaker mentioned that email marketing still the most effective strategy wherein one can use it to create influence, relationship, and rapport among subscribers and followers. Once this is established, sales and marketing will be easier. I have been following global speakers, authors, and coaches such as Tony Robbins, Sha Nacino, James Taylor and Brian Tracy. I have noticed that all of them are using email marketing to reach out their target audiences. What I like about the emails that they send is that these are not direct sales emails wherein they simply ask us to purchase a product or a service but instead, they are focused on sharing their stories, tips, and experiences. Reading their emails seems personal as if it was sent by a friend or someone you really know and not just from a random digital marketer. Thus, it was no surprise that the conversion rate and sales derived from their email marketing is higher compared to all other marketing channels. 1. Set goals and map your customer journey. Consider each decision your potential customer will face on their way to the action you want them to take. For example, if you work for a university, your target audience, potential students and their parents, will have several questions to ask before choosing which school to enroll in. Think of it as a choose your own adventure that begins with questions like “Do I want to go to college?” and “How much will it cost?”, “What programs does this school offer?” and “What’s the food like?”. The more you can answer these questions on the front end, the easier your customer’s decision will be. Let’s say someone new signs up to receive your emails. Great! But your work here isn’t done — in fact, it’s just getting started. You want to make them feel at home with your brand and explain the value to them as a subscriber. One of the best ways to do that is with an automated welcome email. A welcome email tells your brand story and introduces them to who you are and what you do. A welcome email is the best way to start your customer relationship strong. Not only that, it has 4X the open rate and 5X the click rate of other bulk emails. 3. Nurture and provide value. Every good relationship needs nurturing. You set up coffee dates to catch up with friends and call those that live far away, so why wouldn’t you do the same for your invested customers? The best way to maintain a strong relationship is to create an ongoing, customized experience for each subscriber. Email service providers give you the customer insight and tools you need to group them by interest, create content they’ll love, and test the messages that resonate most. Customized experiences go beyond the “hard sell” of cold calling and focus on the long-term goal of converting subscribers into lifelong brand advocates. Let’s say your customer’s signed up for a newsletter about pets. First, you’d start by addressing your subscriber by name and then you’d continue to “wow” them with selections based on their previous preferences. This ensures your email is full of customized content that’ll feel more like a letter from a friend instead of just another business ad. The definition of insanity is “doing the same thing over and over again and expecting different results,” so let’s stay away from that in your email campaign. Instead of ignoring subscribers who opt out of your messages, be willing to find out why they unsubscribed. Take it as a challenge to re-engage inactive subscribers and customers who haven’t opened your emails in a while and spend time learning what type of content they’d like to receive. Create effective tests to understand what’s working, and pinpoint the methods and messages that could use improvement. This will help you scale your efforts and success over time. By the way, the team at Emma is willing to help you send better emails, they created a video series to equip you with all the knowledge you need to send messages your customers will want to open. In the video, Caroline Matis shares their proven blueprint for strong email strategy. Click this link to watch the video. 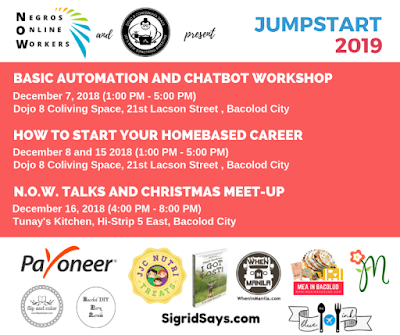 The Negros Online Workers, together with Dojo 8 Coliving Space is holding a series of workshops and talks in Bacolod City this December 2018. JUMPSTART 2019 is a 4-part series of learning events that will help freelancers and aspiring individuals become successful in their online careers. Beginners will learn the basics on how to start their home-based career including basic digital skills while experienced freelancers will have up skill learning sessions. Family bonding has never been better. 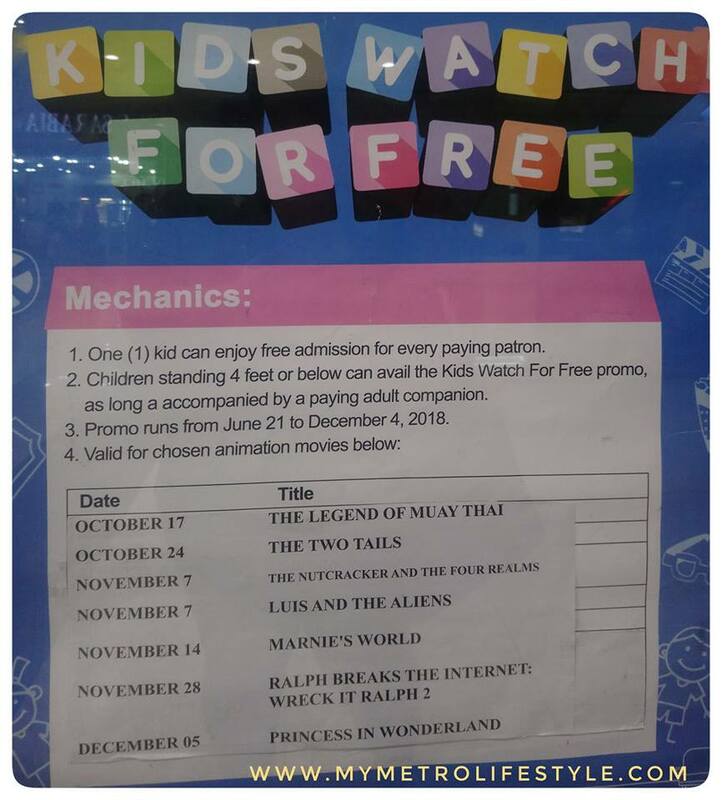 Kids can now watch movies for FREE in SM Cinemas nationwide. Get a complimentary movie pass for every movie ticket purchase. 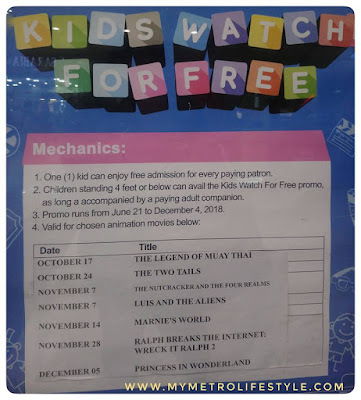 Kids 4 feet and below in height can avail of the free ticket. No need for IDs or birth certificates as long as your child can meet the minimum age requirement. Here's the list of the remaining movie schedule for the year. Promo is valid until December 4, 2018. So, what are you waiting for? Head now to the nearest SM Cinema in your area. For more details, just check out this link. One of the many reasons why we implemented the Digital and Online Tech Advocates Program for Senior High School students is the reality that a lot of school materials and the current curriculum are outdated. There is a huge gap between what is taught in school and what is needed by the industry. Thus, we are very happy to know that REX Book Store, a premier learning solutions provider partnered with a global non-profit organization to foster new developments in educational transformation. 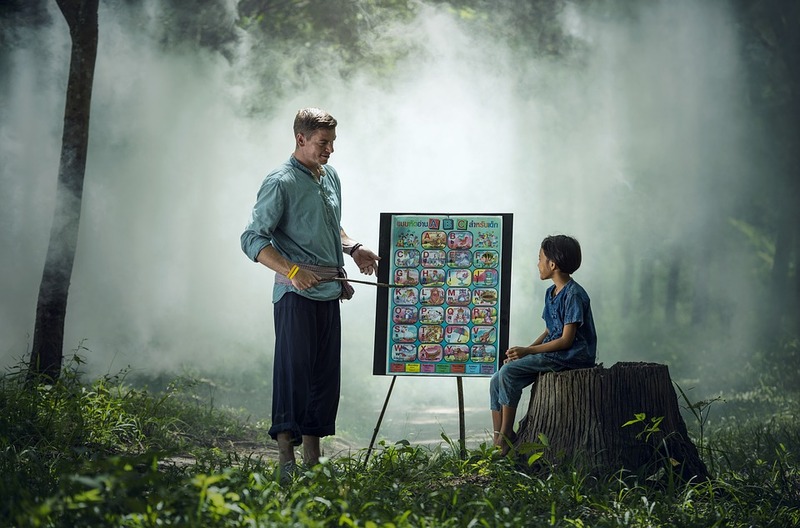 We believe that learning constitutes many things and an enduring commitment to transforming and innovating on what it means to learn and teach in the 21st century. Gladly, this is something that the country's foremost learning solutions provider is trying to do. Late last year, REX Book Store was announced as the preferred distributor of publications and services by the Association for Supervision and Curriculum Development (ASCD), a global non-profit organization dedicated to improving how learning and teaching approaches are implemented to help ensure the success of every child through innovative ways of education that challenge, support, and engage them as whole persons in a safe and healthy learning environment. This year, REX is now recognized by ASCD as its official Philippine partner, providing Filipino educators with a firm and reliable access to award-winning and research-backed professional learning materials and programs which would help them shape today's learners into the Whole Child. REX's campaign for the Whole Child is based on ASCD's research and practices which have gained traction in other developed countries' educational systems, with integrations to curriculums and programs merging and transforming the landscape of education for the 21st century. In what began as a resource partnership way back in 2010, ASCD has been providing REX with some of the industry's most trusted resource speakers for their internal professional development, fusing new insights and research into REX's publishing practices and holistic education campaigns. From 2015 onward, coinciding with REX's 65th anniversary, the premier learning solutions provider began gradually adopting ASCD's whole child approach into its core philosophy, incorporating the approach's vision with its own mission of providing 21st-century learning tools and solutions that reflects what its maxim "tayong lahat, kapit bisig, para sa bata, para sa bayan" means: a village, a community, helping each other nurture, sustain, and secure the success of children as future professionals who would, in turn, help transform the country into a globally competitive nation. REX's full-fledged adoption, support, and practice of ASCD's Whole Child initiative and other innovative approaches to 21st century learning has now developed into a deeper, joint commitment to uphold the concepts of holistic education in light of the Philippine government's own campaign to bring its educational system to the next level with the K-12 program. These efforts are part of REX's vision to help produce young learners today who may lead us into the future, equipped with the critical skills they need to contribute a positive impact to society towards global progress. With over 115,000 members from 128 countries, REX Bookstore now joins the ASCD community in helping transform the world of education by assisting teachers and learning stakeholders, and helping secure the success of each child through progressive values and holistic development. Congratulations, REX Bookstore and we look forward to a brighter future because of this initiative. 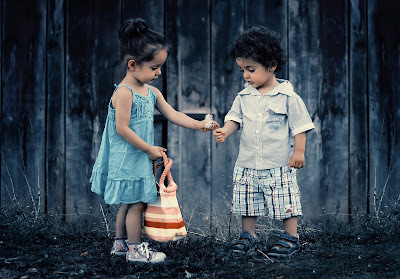 It is said that we start to remember people and build relationships with others as early as 5 years old. On an average, we meet or interact with at least 3 people a day. So, if we grow old and reach the age of 70, then we can assume that we have met around 71,000+ people in our lifetime. A substantial number would be comprised of our family while some become our lifelong friends. Others are simply acquaintances while a few would be the ones whom we build our professional relationships with. 1. 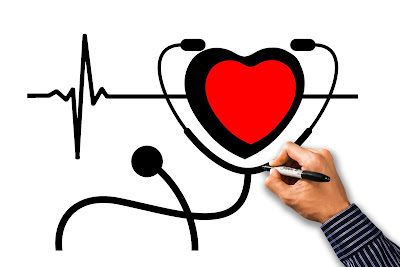 Family Doctor -- It is very ideal to have a family physician who knows our medical history. 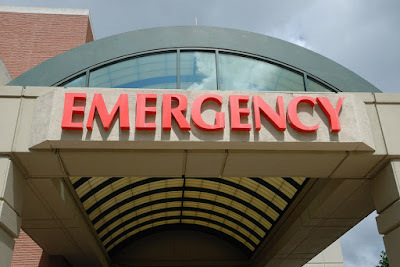 It is very convenient if we do not have to repeat ourselves all over again every time we go for medical consultations. Also, most family doctors feel responsible for monitoring your health thus, they would require you for annual physical examinations and regular check-ups which is very important. 2. 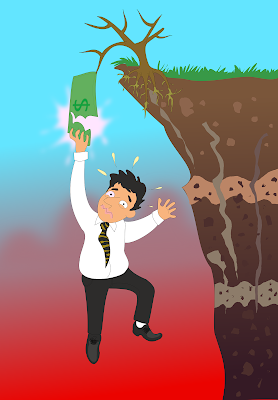 Legal Advisor - Doing things correctly the first time is way cheaper than trying to fix them. Thus, it is a must that we do not allow any errors when making important decisions, especially for our business. By having a legal adviser, we minimize legal risks and cost which will give us the peace of mind when closing contracts and agreements. 3. Life Coaches and Mentors - Life coaches or mentors are more than just a person telling you what to do. Instead, they are ones who can help us stay focused on our goals and help stir us in the right direction in case we get lost or overwhelmed. They can also help us realize our full potential and what we are capable of. In the Philippines, some of the most known life coaches or mentors are Bo Sanchez, Sha Nacino, Francis Kong, Chinkee Tan and Dean Pax Lapid. 4. 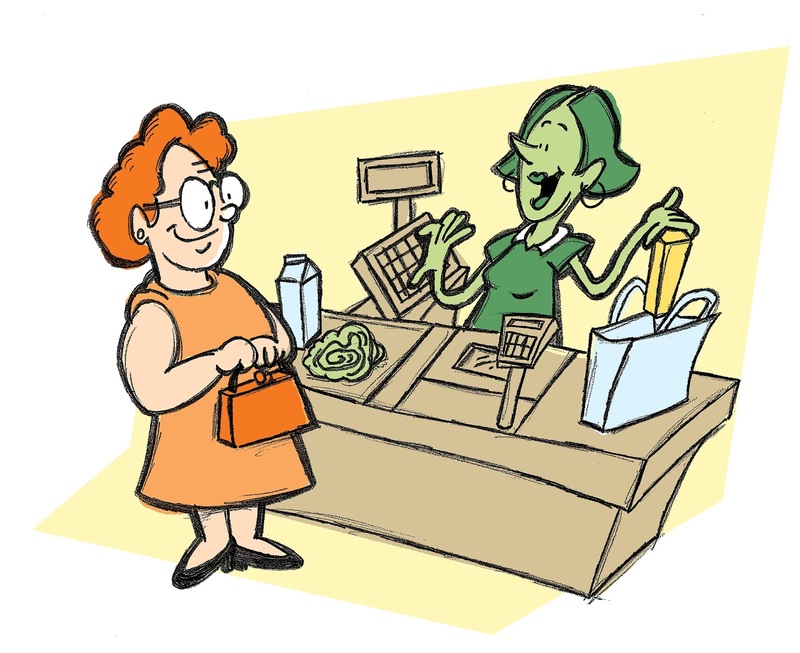 Financial Advisor - Aside from our physical and mental well-being, it is also very important to have someone who can help us take care of our financial well-being and assist us in reaching our financial goals. 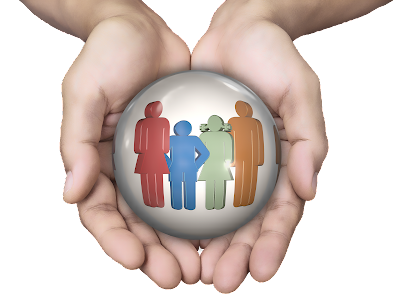 Though a lot can pose themselves as an insurance agent offering financial plans or insurance, it is very important that we find a financial advisor whom we can trust. 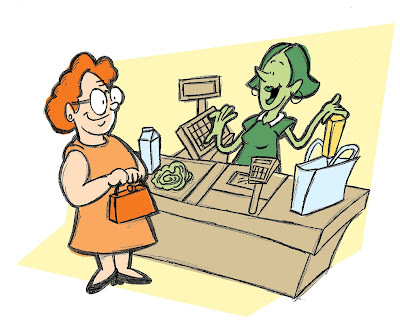 A good financial advisor is someone who knows their products well and knows how to match the product with the customer's needs --- an important characteristic that I have found from Sunlife Financial Advisors. They are well-trained and do not promise much just to close a sale. Instead, they deliver and bring results when the client needs it most. They also offer Money for Life, a customizable financial planning program to really help clients reach their financial goals. So, in case you still do not have a Financial Advisor in your life, then look for someone from Sunlife Financial and rest assured you will be taken cared of. or if you feel that you can help more people by being a financial advisor yourself, then start a BrighterLife Career. 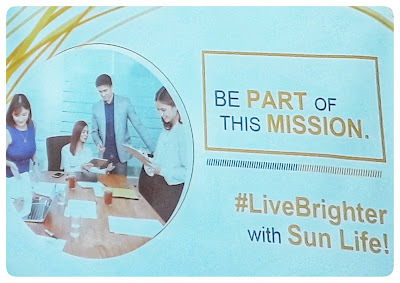 If you are from Bacolod, you can contact Vlad at 0999-8823316 or visit www.sunlife.com.ph for more details. Now going back ---- > Do you already have all these 4 important people in your life? Feel free to leave in the comments section below. I know that it is unusual for a guy to blog about brassieres but this experience is very important and worth sharing in order to help women avoid the same health concern that my wife had a few months ago. 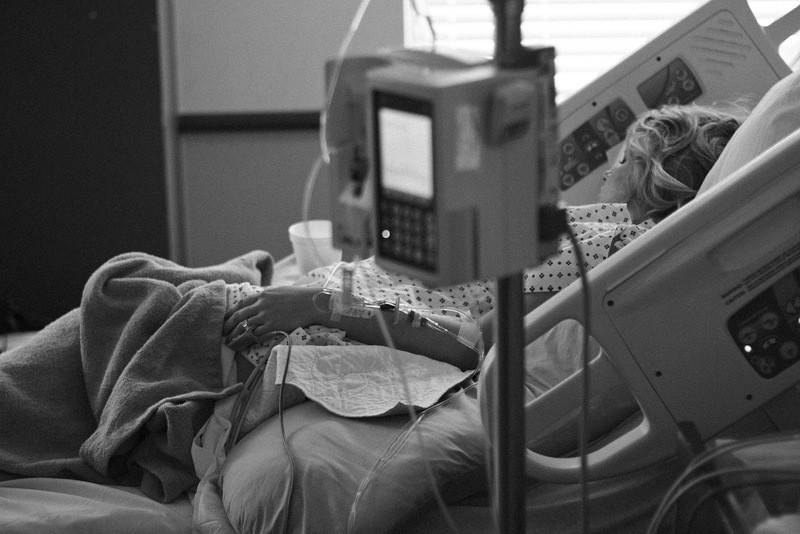 It was in early February when Clarice started complaining about chest pain. This would last for 2-3 days then the pain would disappear. After a few weeks, she would experience again the pain in her chest and on her shoulders and there are also instances where she has difficulty breathing. 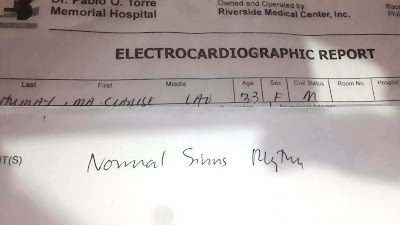 Fearing that it is something serious and a possibility of a heart attack, we rushed her to the hospital where she underwent an electrocardiogram (ECG) and some other laboratory tests to find out if her heart is working normally. However, her cardiologist said that all tests are normal. Then, her doctor noticed some red marks under her bust line. Her doctor suspected that the chest pains were due to an ill-fitting bra. Then, my wife remembered that, yes it is possible that her brassiere was the culprit of her health concern. The chest pains started about the same time she got the new set of brassieres. She was then asked to stop using these bras and observe if the condition persists. So, guess what --- no more chest pains! 1. Skin Problems - these can cause scarring or blisters underneath or along the bust line. 2. Bad Body Posture - this may consequently lead to back, shoulder and neck pain. 3. Lymph Node Problems - too much pressure from tight-fitting bras can close lymph valves and vessels. 4. Sagging Breasts - the lack of support spoils the size and shape of the breasts making them heavier that can lead to sagging. So, where can you get a comfortable bra but with adequate support? According to my wife, wireless bras are needed for those who have bigger cup sizes since it requires more support. In her case, she needed to avoid using wired bras thus, she was in a dilemma on where to get some comfortable ones but with adequate support. Finally, she found one or let's say I found one for her! 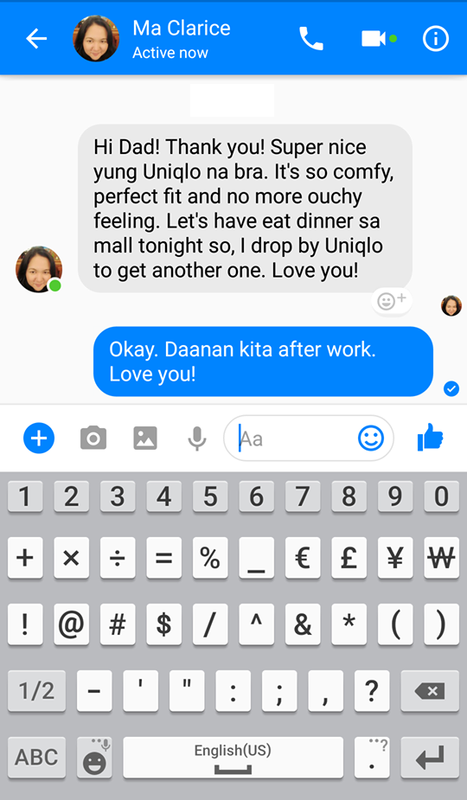 Last February 15, I got an email from Sample Room PH* and they are introducing Uniqlo Wireless Beauty Bra. Its description in the email got my attention "Beauty Soft Wireless Bra stands out as it has no clips, hooks, wires or stress while retaining its sufficient support." Since it has limited samples available, I immediately grabbed a sample for her. Uniqlo Wireless Bras are true to its promise. Here's a message from Clarice after trying the Uniqlo Beauty Soft Wireless Bra. Choosing the right bra is not all about looking for fancy ones. Lace, net, and underwires are very tempting but women and men who are getting their ladies some lingerie must keep in mind that it is far more important to choose comfortable ones because women deserve to feel limitless. If you have more questions about the bra, feel free to message Clarice and not me for obvious reasons (haha!) on Facebook at www.facebook.com/mymetrolifestyle. Sample Room is Philippine's first and only beauty, health, and lifestyle digital sampling and review website that combines the service of sampling and digital marketing campaigns. We all know that Digital Marketing is a great part of a business or company especially if you are just starting up. A Company based in Corpus Christi, Texas -- StarTech Digital Marketing opened its doors recently to provide exceptional services when it comes to SEO, Social Media, Digital Marketing and many more. They believe in being accountable for their work. 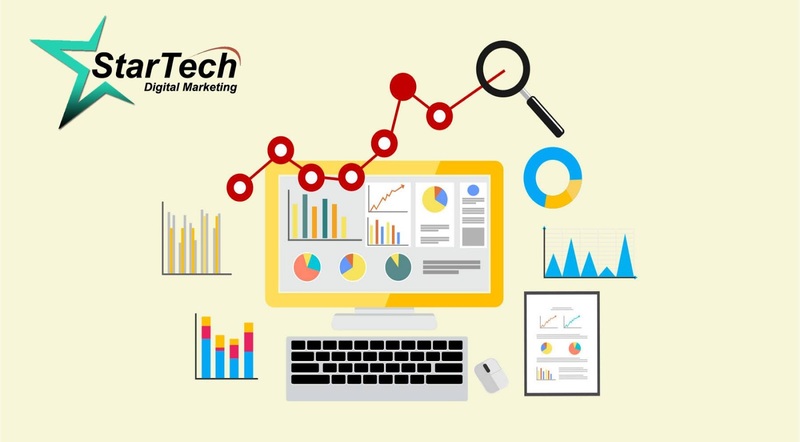 They run regular reports and rankings as well as showing measurable results and improvements. Having the ability each month to see the results alongside the activities they performed, allows the business to calculate their return on investment (ROI). This, in turn, provides peace of mind since they can be assured of, and that their marketing money is being invested wisely and making a difference. StarTech Digital Marketing pursues relationships based on transparency, persistence, mutual trust, and integrity with their employees, customers and other business partners. A law is defined as a system of rules that are created and enforced through social or government institutions to regulate behavior. As an ordinary citizen, we are fully aware of our obligation and duty to our society. There is no question that we have to pay our taxes and never do criminal offenses such as murder, theft, illegal drugs, etc. We are also fully aware that we need to follow traffic rules and regulations. However, there are some laws that may not have been fully disseminated or perhaps just taken for granted. 1. Presidential Decree No. 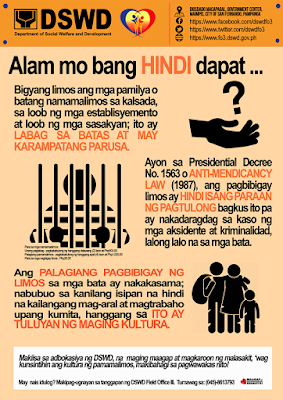 1563 Anti-mendicancy Law (1987) - Any person who abets mendicancy by giving alms directly to mendicants, exploited infants and minors on public roads, sidewalks, parks, and bridges shall be punished by a fine nor exceeding P20.00. When the National Anthem is played at a public gathering, whether by a band or by singing or both, or reproduced by any means, the attending public shall sing the anthem. The singing must be done with fervor. As a sign of respect, all persons shall stand at attention and face the Philippine flag, if there is one displayed, and if there is none, they shall face the band or the conductor. At the first note, all persons shall execute a salute by placing their right palms over their left chests. Those in military, scouting, citizen’s military training and security guard uniforms shall give the salute prescribed by their regulations. The salute shall be completed upon the last note of the anthem. e. Other occasions as may be allowed by the Institute. Read related story last November 19, 2017 about Man arrested for not standing during the national anthem in a movie theater. 3. Republic Act 10909 - No Shortchanging Act of 2016 - An act prohibiting business establishments from giving insufficient or no change to consumers and providing penalties therefore. This means that sellers can now be sued for not giving due change or "candies." Any violation of this Act shall be fined Php 500 or 3% of gross sales for the first offense, P5,000 or 5% of gross sales for the second offense, and P15,000 or 7% or gross sales and a three-month suspension of operations. 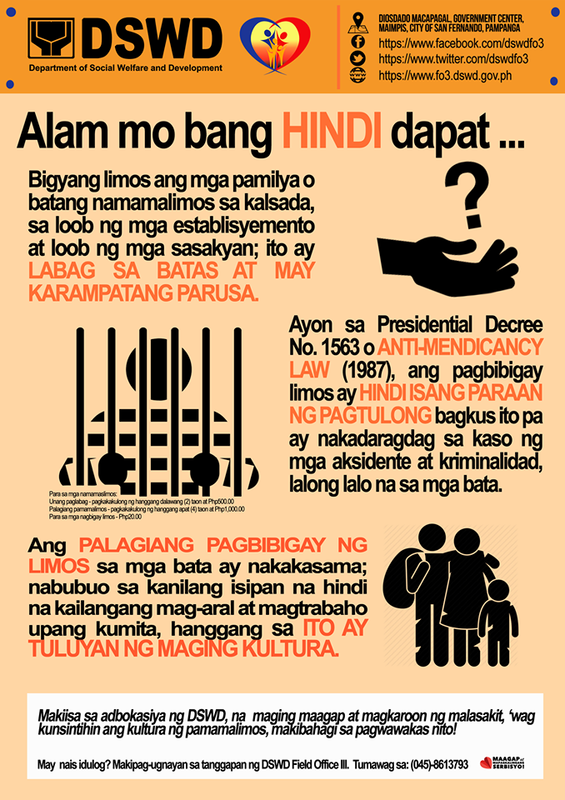 The fourth offense will result in a fine of P25,000 and total closure of the establishment. Disclaimer: This is not written by a legal expert and may be subject to a different interpretation. This article is written to provide information and reminder to all readers. For any legal problem or concern, consult your lawyer. According to a Standard & Poor’s (S&P) Ratings Services, only 25% of Filipino adults are financially literate. This is actually considered very low and alarming. The good news is there are a lot of efforts in the country to promote financial literacy and thus, we no longer have any excuse not to improve our skills in personal finance and financial management. Aside from seminars, books and workshops, online resources have been launched and made available especially for Filipinos. Here are the top online resources to start-off your financial education. 1. Brighter Life Institute - Open for enrollment since 2014, the award-winning Brighter Life Institute or BLI is an organized learning program inspired by MOOCs (massive online open courses). For this year, BLI rolls out the Moving Up module – a set of lessons which aim to teach families basic financial planning practices and the value of honest conversations about money, even to one’s children. 2. My Future Fund Calculator - For a glimpse of how an insurance-with-savings product can help in reaching one’s dreams on time, the My Future Fund Calculator is available via bit.ly/myfuturecalculator. Just set a target date, choose a My Future Fund nearest the target date, and pair it with a suitable Sun Life variable life insurance product. Interested writers can send a link of their entry to editor@brighterlife.com.ph. Full contest mechanics can be found here. Now, we can say goodbye to financial illiteracy and start having a #BrighterLife. Millennials or those who have been referred as Generation Y are the individuals who grew up in an electronics-filled and increasingly online and socially-networked world. 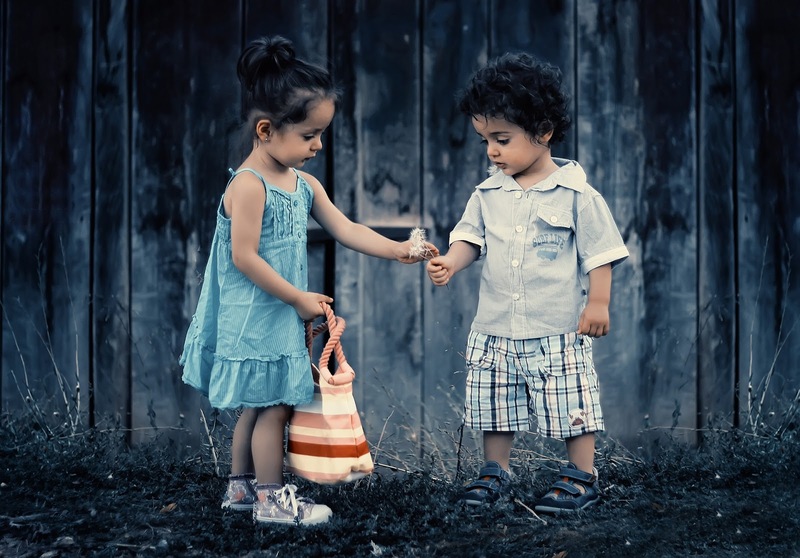 If you are born between 1982 and 2002, then continue reading this post and learn more about these life lessons that you should know. 1. Be The Best At What You Do. Millennials are said to define themselves more by their interest and passion rather than careers. According to Mr. Renee Barian Romero, an avid online gamer who loves to join international competitions and now a successful business consultant and CEO, millennials should strive to be the best at what they do whether it's about arts, writing, dancing or even online gaming. Renee Barian Romero giving the "GAMER TO GAINER" talk. When you play games, you take adversaries as a challenge to become the best. Quitting is never an option. Focus on learning and improvement. One of the lucky students who got a surprise gift. 2. Be a Game Changer. Millennials are known to be passionate about things that impact others: the planet, the environment, social justice, poverty. With proper guidance, these passions can make themselves as ‘changemakers’. What other generations might consider an ‘interest’, Millennials see it as central to who they are. They define success in terms of their ability to turn these interests into accomplishments or even a career. Growing up in a digital environment, one can tap increasing potential with all the resources available. However, if not utilized properly, these resources may also become distractions that may hinder one’s personal or career growth. Ms. Maria Sigrid Lo, award-winning blogger / social media influencer reminds millennials to be responsible social media users. One should try to post something positive and helpful. As millennials, let us be more than a selfie-crazy generation. Make sure to practice social media etiquette. 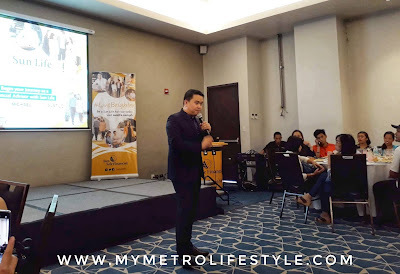 Sha Nacino, a prolific speaker, and author of Mission Happiness and Money and Me shared that in order to make our dreams come true, you have to be clear on what you want. Be specific. Visualize and find out what you really want in your life. Sha Nacino shares tips on HOW WE CAN MAKE OUR DREAMS COME TRUE. Once you know what your goals are, write your dreams. Create a dream board that will serve as a reminder. Lastly, act on it. Dreams don't happen overnight. Take small steps but make sure you do it consistently. You personally have the control on making your dreams come true. Believe in yourself and not on other people's perception about you. These are just some of our key takeaways during the A MILLENNIAL’S DREAM - an event all about inspiring students and other stakeholders to pursue their passion and purpose through productivity and entrepreneurship in the digital age. 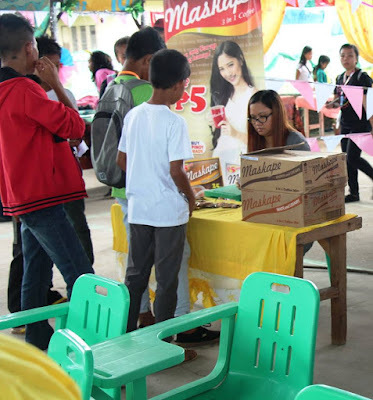 This was held last October 12, 2017 at the Jovito H Sayson National High School and was made possible through the support of event partners: Merzci - Best Bacolod Pasalubong, Cabalen SM City Bacolod, Steel Art Billboards, Maskape 3in1 Coffee, Kurv'z Boutique, Sweet Hill Ice Candy Negros, WRITE University, When In Manila, Sigrid Says, DHADHA GARCIA, Mea in Bacolod and My Metro Lifestyle. Despite the rain, more 300+ participants joined the event. Grade 12 students sold their handicraft projects which they made during their TLE classes. Maskape, one of the event sponsors gave out samples to all event attendees. a NEGOSYO PACKAGE to one lucky participant. Grade 10 offered the famous Bacolod "Inasal." They also won THE BEST BOOTH AWARD.